Monoprice 9723 vs BIC F12: what is the best solution for you and why? These two models are ready to give you some deep “boom” sound. Both devices are great in terms of performance. 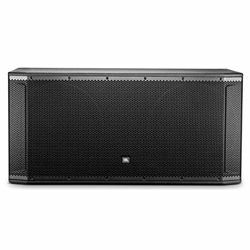 They have the same size – both are 12-inch subwoofers that have much power to shake a house. If we compare the power of Monoprice 9723 vs BIC America F12, then we will see that the difference is huge – Monoprice with 200 W of the peak power versus BIC that has 475 W. However, the power is not the only factor that matters. 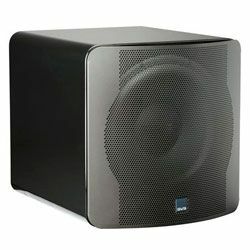 BIC used their on technologies to design and build their subwoofers. The technologies may guarantee clear and deep sound, but Monoprice can also provide you with a rich and clear sound. Another important factor to compare is the frequency response and Monoprice has 50 – 250 Hz, while BIC has 25 – 200 Hz. Therefore, Monoprice is better when it comes to relatively high frequencies. The main advantage of Monoprice 9723 is that it has a wireless module that can transmit the audio signal to two devices that have a Bluetooth module. Moreover, it has a great operating range of 30 feet. 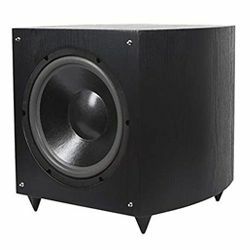 The disadvantage of this model is that it is not powerful enough and some customers claim that you need to set the volume very high to get the bass sound you need. The main advantage of BIC is its high power. Moreover, it gives you clear sound even if the volume is very high. The disadvantage is that it has an amplifier that is not very reliable. However, it does not mean that you will fail in a month or two. 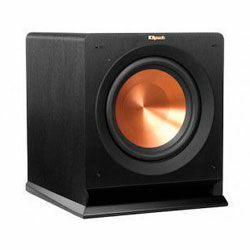 If you need to choose between BIC F12 vs Monoprice 9723 then consider the size of the room, you are going to install the subwoofer in. If your room is quite big then you need a powerful solution, which is BIC F12 that can cover a large area with deep and crisp sound. If you do not need that amount of power and you need a device that can transmit audio to other devices you have, then Monoprice will be a great option for you. 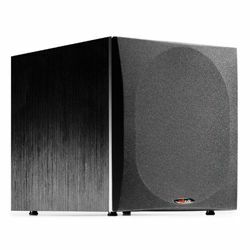 This is a 12-inch high-performance subwoofer with the peak power of 200 W. This model features an internal battery that can provide you with music for 9 hours. It also has a wireless module that can transmit audio to two sets of receivers (using the Bluetooth protocol). The operating range reaches 30 feet. It has different parameters to adjust, like crossover, gain, etc. It is easy to blend with the other speakers you have. Good structure that does not resonate. Sometimes the dials are not sensitive enough. You need to set the volume level high to start hearing it. It has a 12-inch long throw woofer with a BASH designed amplifier. The port noise is excluded completely since the BIC “Venturi” technology is used. It assures a noise-free connection with other devices since it has gold plated terminals. 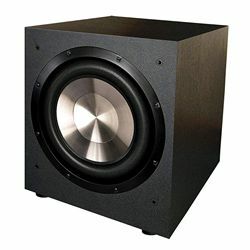 It has magnetic shielding that prevents this subwoofer from damaging other devices. Dolby Pro Logic, Dolby Digital and DTS inputs for the best compatibility. The installed amplifier is not reliable. It may start vibrating if you set the volume too high.